It’s the beginning of a brand-new journey for the INVINCIBLE IRON MAN title, and we are so happy to be here at the starting line! 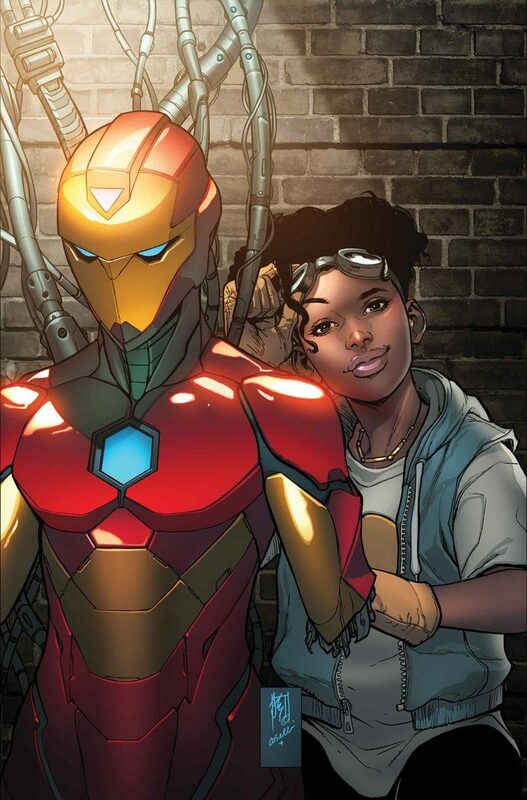 After the shenanigans of Civil War II, teenaged Riri Williams is taking the titanium-alloy reins from a not-quite-deceased Tony Stark. We couldn’t care less about the INFAMOUS Doom; as far as we’re concerned, Riri’s Ironheart, as depicted by Brian Michael Bendis and Stefano Caselli, is the real heir to the throne.